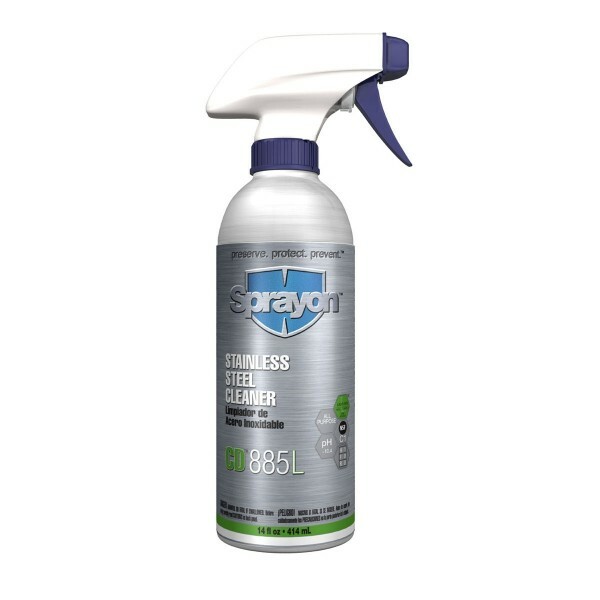 Sprayon Liqui-Sol CD 885L Stainless Steel Cleaner is your option for safety storage and disposal. For food plant and other industrial use only. Avoid contamination of food during the use and storage of this product. 1. Shake Well Before using 2. Do not apply while equipment is running 3. For best results use at room temperature 70 degrees F 4.